How to Transfer Music from Computer to iPhone 8/X? 3 Ways! Are you not familiar with iTunes to transfer music from computer to iPhone? Are you looking for the easiest way for downloading music files to your iPhone? Willing to transfer music with just a click? You can find the best and easiest way here for how to transfer music from computer to iPhone 8/X. iMyFone TunesMate is one of the best iPhone Transfer tools that help to easily download music to iPhone without deleting music. No iTunes is needed. This software also helps to convert audio/media files automatically by itself, so get out from the hassle of converting media files with music converter. it can directly download music to iPhone without the help of iTunes library. Step 1: Connect your iPhone to your computer via USB cable and start TunesMate. Step 2: Click on tab “Music” located at the top of interface and you will be in the “Music” category. Step 3: Click on tab “Add > Add File/Folder” and locate your songs folder in computer, select your folder and click “Open” to add. DONE! 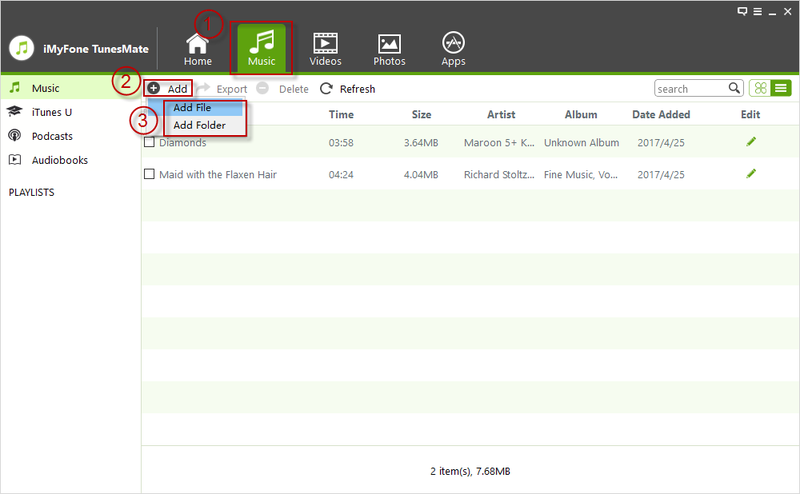 You can also directly drag and drop the music files into the “Music” window of TunesMate. Your music files will automatically convert to supported format of iPhone while transferring. That’s why it supports to transfer music with all formats. Actually, iMyFone TunesMate does more for iPhone or iPhone music. It helps you to enrich your iTunes library by add music from unlimited iOS devices. If you need, you can sync the whole music library back to iPhone without syncing of iTunes. This allows you to share music with your friends. You can back up music or videos to computer. You can also edit your music info, like name, artist, album, etc. You can create new playlists and drag-and-drop your favorite songs into the same playlist. It is suggested to download it and give it a free trial. Open Dropbox or go to Dropbox.com from your computer and sign in with your user ID. Click ‘Upload’ icon at top of page, select your file ‘Choose file’ located in the pop-up window. Locate your favorite songs in your computer and upload as many as you can. 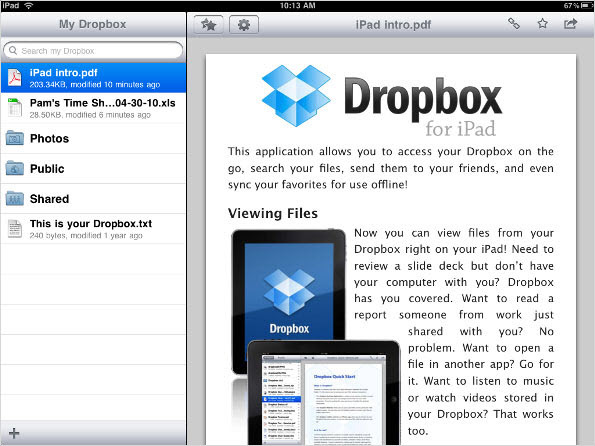 Open Dropbox application from your iPhone and listen to your songs. You can also download them to the local. DONE! Install latest version of iTunes into your computer and launch it. Go to “File > Add File to Library” from the top menu. You can locate your music files on computer and select them to transfer. And your music files are added into your iTunes library. iTunes library works as a bridge in this case. Check “Sync Music” at the right panel and you can select all music or some specific ones. Once done, hit “Sync” button at the bottom. The existing music on iPhone will be erased when syncing. If your iPhone has been synced with other iTunes library or computer, everything will be removed from your iPhone. 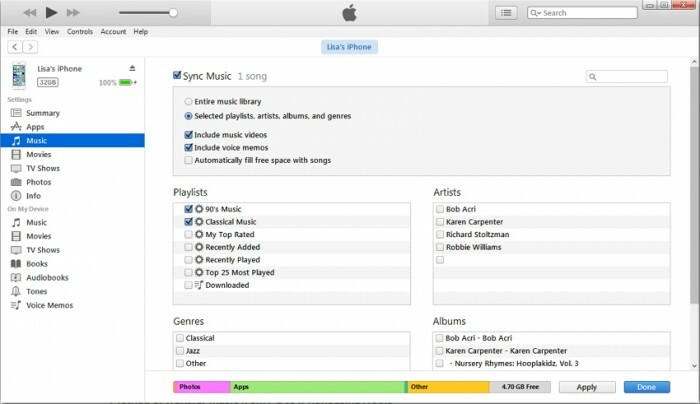 What’s more, if it is the first time you sync music from this computer, you will lose all media files on your iPhone.This is the limits of iTunes sync. BTW, iTunes only supports some specific music formats, like MP3, AAC, etc. You need to convert music first if they are not the supported ones. Tip 1: Update your iTunes to the latest version - On your iTunes, click on “Help > Check for Updates”. 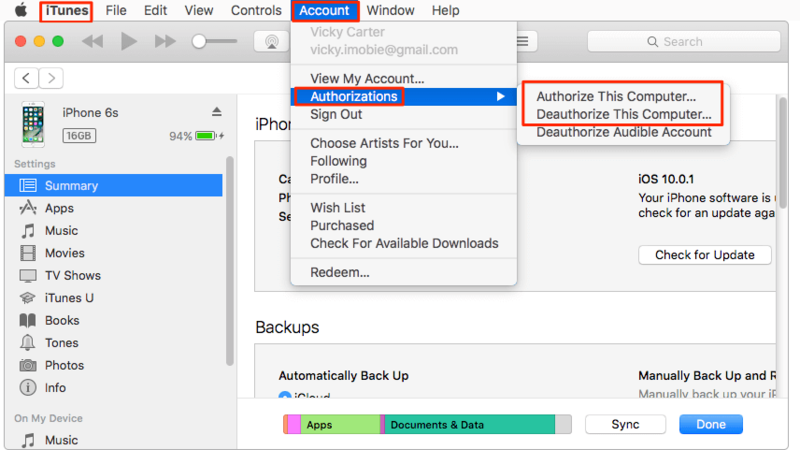 Tip 2: Reauthorize your computer as iTunes may forgot the authorization - On iTunes, go to “Account > Authorization > Authorize This Computer”. Tip 3: Re-sync you iPhone - If you synced your iPhone over Wi-Fi at the first time, you can try to sync it again with USB cable. Cable connection will be more stable than Wi-Fi. Tip 4: Remove music from iTunes library and iPhone and sync again. Tip 5: Add music to iTunes library again and sync to your iPhone again. Tip 6: If nothing works, back up your iPhone data to iTunes and restore it to factory default. After that, restore the backup from iTunes to iPhone. Tip 7: Use iPhone Transfer tool to download music into iPhone. It will not have this issue.